This year the NWCC organised another re-creation of the Battle of Travalgar by having two teams of boats, one being the British, one being the Franco Spanish. Yet the Spanish are rarely mentioned when we talk about the defeat, only the French. But I am running ahead of the outcome. Points were awarded for fancy dress, battle hits and winning the Race. We (John, Sam, Timo and me) only managed to come up on the Saturday morning and missed the Friday evening briefing. I had estimated that it would take us one our to get to the starting point (Fairway). With the batte starting 12:10, we need to set off at least 10:45, but it took a while to prepare the boat. Engine on at 10:55 and cast off at 11:05. I looked like we were all late as we followed the rest of the boats out Conwy river past Delganwy. 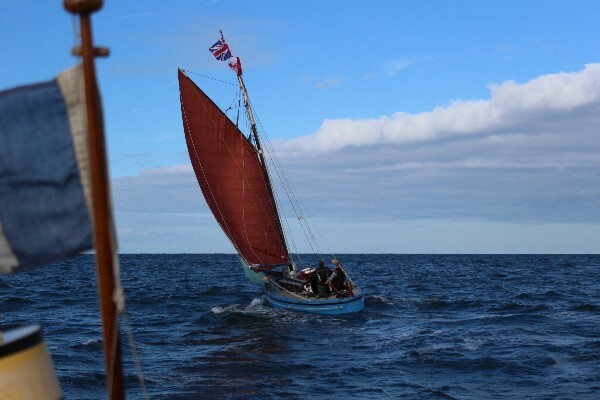 Then heading towards Fairway we fell back a bit so I tried to set all sails, which was tricky in a already bouncy sea. Just when we arrived at Fairway, the battle start was announced on channel 72. The chaos started. Firstly the sea was veyry choppy. We got a bucket out and filled it with sea water. The boys had prepared some water balloons. 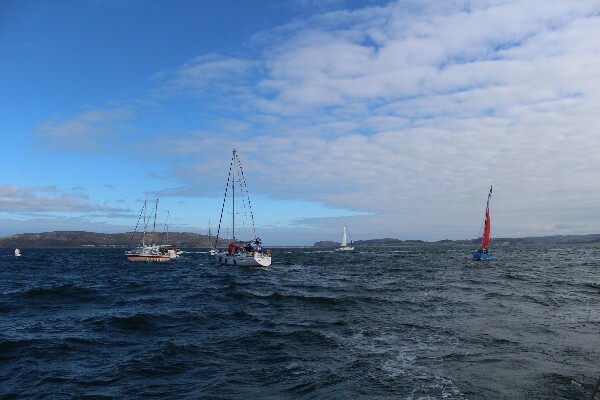 But it was up to me to avoid crashing into one of the 8 yachts all steering different and constantly altering courses. At the same time I filled the water bucket when it was empty. It was exillarating. After 20 minutes it was all over. However, the wind direction was not the predicted NE, which was going to make the first leg of the race towards the 10 foot bank easy. 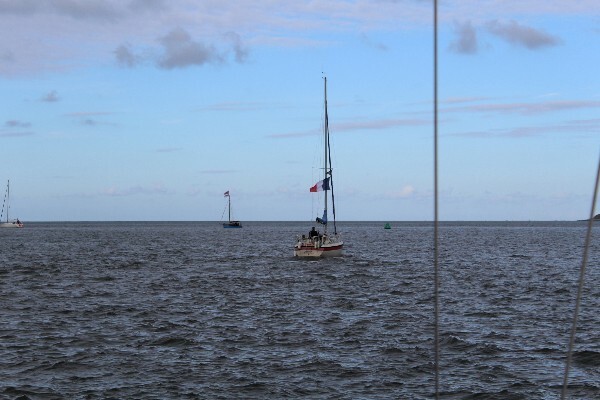 But coming back would be difficult was we would have to tack against the wind and the waves. It would at least add 2 hours to our trip and I could not see that the crew would enjoy it for long and I was the only experienced sailor on board. So we announced our retirement on the radio and headed back. 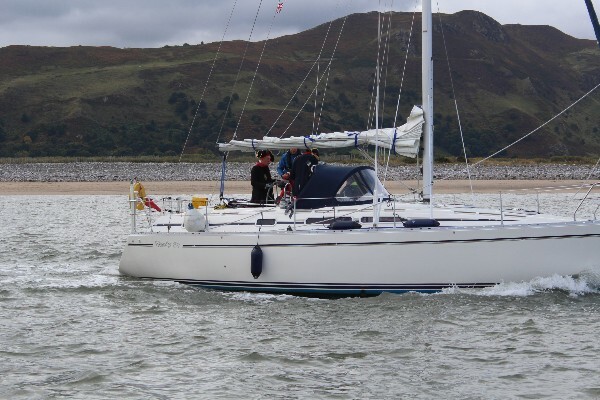 Both John and Sam took the tiller in turns and closer to Conwy, in the shadow of the Great Orme, the waves size receded and we motored back to our mooring. Sam steered us around the pontoons once and then moored Anyway perfectly. Not bad for a 12 year old. I made lunch and did a few jobs on the boat while Sam and John fished.